First is the wrongful death claim for “full value of the life” which belongs to family members designated by O.C.G.A. § 51-4-2 – spouse, children or parents. Recovery for the “full value of the life” includes both economic and intangible components and is not subject to claim of the decedent’s creditors and medical providers. Second is a “survival action” authorized by O.C.G.A. § 9-2-41 and brought by the administrator or executor of the decedent’s estate for pain and suffering, medical expense and funeral expenses. Any recovery under this claim is subject to claims of creditors. In many of the cases we see, particularly truck crashes, the decedent loses consciousness rather quickly and survival time is short. However, if a credible claim for pain and suffering can be made, it can add substantial value to a jury verdict. Moreover, the estate’s claim may be a necessary piece of the puzzle in order to make a claim for punitive damages based upon months or years of the corporation’s independent negligence in hiring, training and supervising employees extending far beyond the momentary negligence of an employee, e.g., a truck driver, who should never have been entrusted with an 80,000 pound tractor trailer in the first place. 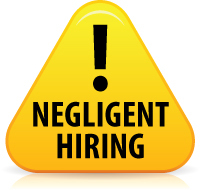 This is especially important when a corporation admits ordinary negligence on the part of the employee and admits that the employee was in course and scope of employment. Some judges apparently do not understand or care how often the root cause of a tragic crash lies in management practices that turn a blind eye to safety. Such judges have created precedents exclude evidence of mismanagement leading to the crash in that scenario. But if there is a claim for punitive damages for the company’s patterns and practices that show conscious disregard for safety, evidence of unsafe management practice may be admissible. Because punitive damages are not recoverable in wrongful death cases in Georgia, the survival action gains greater importance. Thus, the pain and suffering claim that might in other circumstances be superfluous becomes a key element in bringing corporate misconduct to light and obtaining full justice. Mental pain and suffering in before and during a fatal crash. In Georgia, a jury may infer consciousness of impending death, and thus mental pain and suffering, from evidence immediately prior to impact or following her injury. Department of Transp. v. Dupree, 256 Ga.App. 668, 570 S.E.2d 1(2002). During a crash, even if the survival time before death was extremely brief, jurors may reasonably infer that the victim experienced both severe physical pain and fear of impending death in those moments. That alone can be sufficient to support a genuine issue of material fact for jury determination. 2. Physician’s testimony about presuming pain despite apparent absence of consciousness. Treating physicians may testify that they treat for pain even when a patient appears unconscious, and are careful talking about a comatose patient because so many patients wake up and report hearing conversations while everyone though they were comatose. Such medical testimony can be crucial in supporting a claim for pain and suffering despite a patient’s unresponsiveness. The Reference Manual on Scientific Testimony recognizes that “treating physicians are generally permitted to testify” and “treating physicians’ testimony is often given greater weight than testimony from physicians who have not examined the patient.” Reference Manual on Scientific Testimony 449, n. 41(2d Ed.). “A physician may be asked to testify about the physical condition of a plaintiff, diagnosis, treatment, causes of the plaintiff’s condition, or prognosis.” Id. at 439. The methodology and data that treating physicians reasonably consider good grounds for opinions or inferences in medical practice are sufficiently reliable to form the basis of a qualified medical expert’s testimony in court. Whether a patient under his direct care experienced pain before her death is quintessentially a matter within the scope of a treating physician’s testimony. See, e.g., Cohen v. Lockwood, 2004 WL 763961 (D.Kan. 2004) (unpublished opinion); Zanowic v. Ashcroft, 2002 WL 373229, 52 Fed.R.Serv.3d 702 (S.D.N.Y. 2002) (unpublished opinion) at *2(quoting Shapardon v. West Beach Estates, 172 F.R.D. 415, 416 (D.Haw. 1997); Laski v. Bellwood, 132 F.3d 33 (6th Cir.1997)(trial court abused its discretion by not permitting treating physicians to testify about cause of plaintiff’s back pain); Mangla v. Univ. of Rochester, 168 F.R.D. 137, 139 (W.D.N.Y. 1996); Santoro v. Signature Const., Inc., 2002 WL 31059292 (S.D.N.Y., 2002) (unpublished opinion). See also, Pittman v. ANR Freight Systems, Inc., 2002 WL 2026257 (6th Cir., 2002) (unpublished opinion); McGregor v. Paul Revere Life Ins. Co., 2004 WL 68692 (9th Cir., 2004). In a case we successfully handled recently, the attending physician who supervised the victim’s care from her arrival in the emergency room until her death gave expert testimony that in the hospital she was moaning, breathing on her own, and that he believed she experienced pain during her hospitalization until the time of death. We contended that expert medical testimony was sufficient to establish a genuine issue of material fact for jury determination, and to require denial of summary judgment. The affidavit from Defendants’ specially retained medical expert did no more than set up an opposing argument to present to the jury. There were no reported Georgia decision directly on point. However, decisions by courts in other jurisdictions with laws consistent with Georgia law are helpful. In Kretek v. Board of Commissioners of Luna County, 2014 WL 11621697 D. New Mexico, decided Feb. 26, 2014), testimony of the treating physician was equivocal about the nature and degree of suffering the patient may have experience while comatose prior to death. Thus, the court denied a motion in limine to exclude the physician’s testimony on this issue. Thus, if the potential for financial recovery far exceeds any medical liens or creditor claims, it may be worthwhile to raise a claim for pain and suffering even if the decedent’s survival time was brief. Other times, if the potential for recovery is more limited and creditors’ potential claims are substantial, it may not be worth it. Ken Shigley is a past president of the State Bar of Georgia, past chair of the State Bar’s Tort & Insurance Practice Section, past chair of the Georgia Insurance Law Institute, past chair of the American Association for Justice Motor Vehicle Collision, Highway & Premises Liability Section, and a member of the board of governors of the Academy of Truck Accident Attorneys. He is lead author of Georgia Law of Torts: Trial Preparation & Practice (Thomson Reuters West, 2010-2018). His law practice is focused on catastrophic injury and wrongful death including those arising from commercial trucking accidents and those involving brain, neck, back, spinal cord, amputation and burn injuries. He is licensed to practice law in Georgia. Representation of clients in others states, which possible, can be undertaken only in strict compliance with the multijurisdictional practice and pro hac vice rules of the other state. In catastrophic truck crashes that kill or catastrophically injury innocent people, the root cause of the tragedy is often not the momentary carelessness of a truck driver. Rather, the root cause is very often the systemic mismanagement by a company that puts behind the wheel of an 80,000 bomb a person who never should have been driving it. The driver may be a good guy who because inadequate training or experience, bad driving record, or physical incapacity was not well-fitted for the job. That can result in a claim for negligent entrustment. One who supplies directly or through a third person a chattel for the use of another whom the supplier knows or has reason to know to be likely because of his youth, inexperience, or otherwise, to use it in a manner involving unreasonable risk of physical harm to himself and others whom the supplier should expect to share in or be endangered by its use, is subject to liability for physical harm resulting to them. Zaldivar v. Prickett, 297 Ga. 589, 602-03, 774 S.E.2d 688, 697 (2015), et cit. (Majority opinion by Justice Blackwell, dissent by Justice Benham on apportionment issue only). A 1997 Court of Appeals decision said that the Georgia rule on negligent entrustment is narrower than the Restatement rule, requiring actual rather constructive knowledge. Carolina Cable Contractors, Inc. v. Hattaway, 226 Ga.App. 413, 416 (4), 487 S.E.2d 53 (1997)(Smith, J.) (physical precedent only). However, because that decision is “physical precedent only” it is not binding on lower courts. Moreover, circumstantial evidence can be used to prove actual knowledge. Carolina Cable, 226 Ga. App. at 416-17. The direct evidence of degrees of actual knowledge is circumstantial evidence from which jurors may reasonably infer a greater degree of actual knowledge than that to which a trucking company admits. The Federal Motor Carrier Safety Regulations, 49 CFR § 391.23, requires interstate motor carriers to investigate the driving background of driver applicants. “The investigation may consist of personal interviews, telephone interviews, letters, or any other method for investigating that the carrier deems appropriate.” 49 CFR § 391.23 (c)(2). The minimum required includes requests for information to prior employers and checking state motor vehicle records. However, that is only the “minimum” required. 49 CFR § 391.23(d). “By the regulations’ own terms, employers may investigate driver employment histories and driving records beyond the minimum standards established by the regulations themselves. The trucking industry’s needs and concerns involving drivers extend to a range of past accidents, incidents, mishaps, occurrences and events well beyond those encompassed by § 390.5.” Cassara v. DAC Services, Inc., 276 F.3d 1210, 1225 (10th Cir., 2002) It is a floor not a ceiling, for checking driver backgrounds. If a motor carrier has actual knowledge of a collision within the previous three years that is not revealed in those records, a duty arises to check the accuracy of the driver applicant’s self-serving description of the incident. A Plaintiff may get to a jury “by showing that an employer had actual knowledge of numerous and serious violations on its driver’s record, or, at the very least, when the employer has flouted a legal duty to check a record showing such violations.” Mastec North America, Inc. v. Wilson, 325 Ga.App. 863, 755 S.E.2d 257, 259-60 (2014); Western Indus. v. Poole, 280 Ga.App. 378, 380(1), 634 S.E.2d 118 (2006); Smith v. Tommy Roberts Trucking Co., 209 Ga.App. 826, 829–830(3), 435 S.E.2d 54 (1993). Circumstantial evidence of knowledge of such factors of incompetency is sufficient to create a question of fact for jury determination on the issue of negligent entrustment. It is sufficient to show knowledge on the part of the entruster by presenting facts from which it could reasonably be inferred that the entruster knew of the driver’s poor driving habits or skills. CGL Facility Management, LLC v. Wiley, 328 Ga. App. 727, 732-33 (2), 760 S.E.2d 251 (2014) (allowing the claim to go to the jury because there was a question of fact where the employer could have had knowledge of the driver’s incompetence based on prior incidents); Dougherty Equipment Co., 327 Ga.App. 434, 439(2), 757 S.E.2d 885 (2014); Ed Sherwood Chevrolet v. McAuley, 164 Ga.App. 798, 802(1), 298 S.E.2d 565 (1982). Cf., Gill Plumbing Co., Inc. v. Macon, 187 Ga.App. 481, 483 (2) 370 S.E.2d 657, 659 (1988)(sufficient to show facts from which knowledge of driver’s poor driving habits or skills could be inferred). Even if any one of these factors standing alone might be enough to create a jury question on negligent entrustment, the overlapping combination of several pertinent factors may be sufficient to authorize jurors to rationally conclude that a trucking company was aware that it was unsafe to entrust an employee to operate a large truck, at least without further training or in some instances evaluation of sleep disorders. Such claims are extremely fact-sensitive and must be evaluated in light of the specific combination of facts in each case. If you have questions about a serious injury or wrongful death case in Georgia, contact us at 404-253-7862. Often in a catastrophic truck crash, the trucking company admits that the truck driver was negligent and was in the course and scope of employment. That is a smart tactic to attempt to focus all blame on two seconds of driver negligence rather than months or years of corporate conduct including negligent hiring of the driver. They may get by with it because of a Court of Appeals decision that bars claims for the company’s corporate negligence that are “merely duplicative” of respondeat superior agency liability for negligence of an employee. Hospital Authority of Valdosta/Lowndes County v. Fender, 342 Ga. App. 13, 802 S.E.2d 346 (2017), et cit. However, in many cases the claim of negligent hiring is not “merely duplicative” as the company’s corporate conduct in turning a blind eye to safety that may have been the actual root cause of the tragedy. Negligent hiring of a truck driver is a separate and distinct theory of liability from negligent entrustment of a truck to the driver. The Georgia Supreme Court has approved Restatement of Torts 2d, § 213 Principal Negligent or Reckless. See e.g., Munroe v. Universal Health Services, Inc., 277 Ga. 861,862 (1), 596 S.E.2d 604, 405-06 (2004); Harvey Freeman & Sons, Inc. v. Stanley, 259 Ga. 233(2), 378 S.E.2d 857 (1989). A person conducting an activity through servants or other agents is subject to liability for harm resulting from his conduct if he is negligent or reckless: . . .
(c) in the supervision of the activity . . . . The Court held, “the relevant question is whether [the defendant] knew or in the exercise of ordinary care should have known that … the employee it hired and retained to perform duties …. was unsuitable for that position because he posed a reasonably foreseeable risk of personal harm” to persons like the plaintiff.” Accord, Coe v. Carroll & Carroll, Inc., 308 Ga.App. 777, 786 (2011); Cooper v. Marten Transport, Ltd., 2012 WL 12358220 (N.D. Ga., decided Feb. 23, 2012); Munroe v. Universal Health Services, Inc., 277 Ga. 861,862 (1), 596 S.E.2d 604, 405-06 (2004); Piney Grove Baptist Church v. Goss, 255 Ga.App. 380(2), 565 S.E.2d 569 (2002); Georgia Electric Co. v. Smith, 108 Ga.App. 851, 854(1), 134 S.E.2d 840 (1964). The Georgia Supreme Court has repeatedly held that in order that a party may be liable as for negligence, “it is not necessary that he should have contemplated or even be able to anticipate the particular consequences which ensued, or the precise injuries sustained by the plaintiff. It is sufficient if, by exercise of reasonable care, the defendant might have foreseen that some injury would result from his act or omission, or that consequences of a generally injurious nature might have been expected.” See, e.g., Smith v. Finch, 285 Ga. 709, 712, 681 S.E.2d 147 (2009). We have seen truck crash cases in which truck drivers had driving records or medical conditions, either when hired or that developed over time, that were medically disqualifying to drive a tractor trailer, but employers just turned a blind eye to information that was right in front of their eyes. Some of those hazards could have been remedied if an employer had simply required the employee to go to a sleep specialist. Thus, it is important to explore the root causes of a tragedy that started long before the moment in which a truck driver did something that was the immediate cause of a crash. Often the forces were set in motion by the very act of hiring an incompetent truck driver, leading inexorably to disaster on the road. When my father’s generation came home from World War II, many of them carried psychological scars about which they kept quiet. My parents married young, at 21 and 18, the week he returned from combat in 1945. My mother said that dad fought the air war over Europe every night in his sleep for at least a decade. The longer-term ramifications of that played out in many ways throughout his life. As he lay dying over six decades later, he began to tell me for the first time the war experiences that had haunted him most through his life. Recently, I was with a nurse practitioner and a community mental health counselor during their impromptu discussion of the ramifications of PTSD that they see regularly in dealing with people on the front lines of medicine and mental health. They rattled off numerous examples of what they almost daily among veterans of Vietnam, Iraq and Afghanistan, and survivors of a variety non-combat traumas. When dad came home from WW2, there was no widely accepted medical name for this condition. The terms “shell shock” and “battle fatigue” were used, but were generally limited to debilitating short term reactions to battle in wartime rather than the chronic reactions that can stretch out over decades. The term PTSD was not given a standard psychiatric definition until 1980 when the American Psychiatric Association (APA) added PTSD to the third edition of its Diagnostic and Statistical Manual of Mental Disorders (DSM-III) classification scheme. Although controversial when first introduced, the PTSD diagnosis has filled an important gap in psychiatric theory and practice. As a lawyer accustomed to dealing with clients who have been seriously injured or lost a loved one killed in a crash with a car or tractor trailer, the tendency is often to focus on the physical injuries – broken bones, back injuries, neck injuries, chronic pain, etc. It is easy to overlook the silent injury of Posttraumatic Stress Disorder (PTSD), or to confuse it with a traumatic brain injury. PTSD is officially recognized as a mental health condition that some people develop after experiencing or witnessing a life-threatening event. The diagnostic criteria are outlined in the Diagnostic and Statistical Manual of Mental Disorders, currently in the Fifth Edition, known as the DSM-5©. In 2013, the American Psychiatric Association revised the PTSD diagnostic criteria and included PTSD in a new category Trauma- and Stressor-Related Conditions. The diagnostic criterion for all of the conditions included in this new classification require exposure to a traumatic or stressful event. When can PTSD appear after trauma? Symptoms of PTSD usually begin within the first three months after the trauma, although there may be a delay of months, or even years, before criteria for the diagnosis are met. The DSM-5 refers to this as “delayed expression” with the recognition that while some symptoms typically appear immediately, others are often delayed. Often a person’s reaction to trauma initially meets criteria for Acute Stress Disorder immediately after experiencing a traumatic event, but Acute Stress Disorder is distinguished from PTSD because the symptoms are restricted to a duration of three days to one month. The duration of PTSD symptoms varies with complete recovery within three months occurring in approximately 50% of adults. I had some of this after I was hurt in an explosion. For months, I looked away whenever there was an explosion on TV and was timid about lighting a gas grill. But that reaction passed. However, some individuals remain symptomatic for more than 12 months and some for more than 50 years. There were times when an elderly neighbor stood in his driveway and openly wept about things he had experienced over sixty years earlier as a Marine on Peleliu and Iwo Jima. Research indicates that PTSD is more prevalent in females and they experience PTSD for a longer duration on average than do males. PTSD is associated with high levels of social, occupational and physical disability as well as considerable economic costs and high levels of medical utilization. What are risk factors for PTSD in some people but not others? A loss earlier in childhood, such as abuse or neglect. How is PTSD involved after motor vehicle collisions? Most people who are hurt in routine car and truck wrecks do not have PTSD. They may have some short term anxiety but nothing that rises to the level of PTSD. We have all had stressful conditions that we endured, sucked it up, and went on. When I was an insurance defense lawyer, I routinely sliced and diced psychologists who testified for exaggerated claims of PTSD that stretched beyond the diagnostic criteria. A crash survivor who witnesses the death and sees the mangled corpse of a parent, spouse or child in the wreckage. A guy who was spun out of the line of impact when a tractor trailer ran over stopped traffic, so that he had minor physical injuries while everyone in the vehicle behind and in front of him was killed. A person trapped wide awake with the lifeless corpse of a family member until they are discovered, and as first responders labored to extract them. People who survived crashes in which they feared the immediate death of themselves or family members. Feelings of anxiety and increased heart rate when you’re faced with reminders of the event. Hearing a horn honk or brakes screeching may automatically activate a fear response. Because of the anxiety that often follows an MVA, it’s natural that you may want to avoid some situations or experience hesitation at times, such as driving on the highway. Nervousness when driving or riding as a passenger, startling easily in traffic. Being more watchful. You’re more likely to scan your environment for potential sources of threats (for example, people driving too fast). While we are careful to avoid exaggeration of on minor degrees of PTSD symptoms in auto and truck crash cases, we are alert to the need to have clients evaluated when appropriate for more serious and long-term PTSD symptoms. Whether mild or severe, credible PTSD symptoms can be presented as part of mental pain and suffering in car and truck crash cases. But occasionally children are seriously injured or killed in the process of being transported by school buses. We have successfully handled some of those cases. School bus injury cases are not the same as car wreck cases. Lawyers handling those need to know the legal wrinkles unique to school bus personal injury and wrongful death cases in Georgia. The biggest wrinkle in school bus injury cases is immunity. Sovereign immunity, or governmental immunity, is the legal doctrine that the state (“sovereign”) is immune from civil suits unless it waives that immunity. In Georgia, public schools have sovereign immunity from most injury claims. When we get calls about kids injured at school, about 99% of the time I have to tell folks they don’t have a case. I won’t take up space here to outline the extremely narrow exceptions for injuries at school. Similarly, official immunity protects government officials and employees from liability for discretionary acts but not ministerial acts. A ministerial act is one that is simple, absolute, and definite, arising under conditions admitted or proved to exist, and requiring merely the execution of a specific duty. A discretionary act, however, calls for the exercise of personal deliberation and judgment, which in turn entails examining the facts, reaching reasoned conclusions, and acting on them in a way not specifically directed. Official immunity protects public officers acting in their official capacity from suit unless they negligently perform a ministerial duty or act with actual malice or intent to cause injury while performing a discretionary duty. While a departmental policy requiring certain actions under certain situations may convert an activity from discretionary to ministerial, the decision whether specific acts are ministerial or discretionary is determined by the facts of the particular case. If the public employee must balance multiple factors and consequences, that makes the act discretionary. Standard v. Hobbs, 263 Ga.App. 873, 589 S.E.2d 634 (2003). Generally, the task of school officials “to monitor, supervise, and control students is a discretionary action protected by the doctrine of official immunity” are discretionary and thus immune from liability. That includes virtually all issues of supervision of students. See, e.g., Payne v. Twiggs County School Dist., 232 Ga.App. 175501 S.E.2d 550127 Ed. Law Rep. 448 (1998). Qualified immunity protects individual public agents from personal liability for discretionary actions taken within the scope of their official authority, and done without wilfulness, malice, or corruption. Under Georgia law, a public officer or employee may be personally liable only for ministerial acts negligently performed or acts performed with malice or an intent to injure. The rationale for this immunity is to preserve the public employee’s independence of action without fear of lawsuits and to prevent a review of his or her judgment in hindsight. The main exception to sovereign immunity in Georgia public schools is for injuries while a child is being transported by school bus as the legislature by statute has waived immunity for negligent use of a local government motor vehicle up to a limited dollar amount. Generally, sovereign immunity is waived with regard to injuries or deaths that arise out of negligent use of a covered motor vehicle up to either $500,000 per person and $700,000 per incident, or a higher amount if the local government entity adopts by resolution or ordinance a higher waiver, and either becomes part of an interlocal risk management agency or purchases liability insurance in such higher amount. A 1991 amendment to Ga. Const. of 1983, Art. I, Sec. II, Par. IX extending sovereign immunity “to the state and all of its departments and agencies” includes county-wide school districts. At least three Georgia statutes are involved in this issue. Second, O.C.G.A. § 36-92-2 provides for waiver of “sovereign immunity of local government entities for a loss arising out of claims for the negligent use of a covered motor vehicle” up to $500,000 for injury or death of any one person in any one occurrence, or up to $700,000 aggregate for two or more people, for incidents after January 1, 2008. Paragraph (b) provides, “The sovereign immunity of local government entities for a loss arising out of claims for the negligent use of a covered motor vehicle is waived only to the extent and in the manner provided in this chapter and only with respect to actions brought in the courts of this state.” It also provides for $50,000 limit on property damage claims. So what happens if a child is injured or killed in a school bus incident that does not arise out of “negligent use of a covered motor vehicle?” This has come up in cases where a child was left for hours on a parked school bus, or was injured in an assault by another student. Last year, in a case in which a special-needs middle school student was left locked in a school bus parked in the school’s transportation-system parking lot after school for hours, the Georgia Supreme Court has held that O.C.G.A. § 20-2-1090, which authorizes school systems to purchase insurance on school buses, does not waive sovereign immunity of a school district to the extent of such insurance. Fulton County School District v. Jenkins, 347 Ga. App. 448, 820 S.E.2d 75 (2018). Any such waiver of sovereign immunity must be express rather than implied. While other statutes expressly waive sovereign immunity to limited extent, O.C.G.A. § 20-2-1090 does not. In scenarios arising out of negligent operation of a school bus, sovereign immunity it is waived up to the amounts set forth in O.C.G.A. § 33-24-51.Tift County School Dist. v. Martinez, 331 Ga.App. 423771 S.E.2d 117 (2015). There have been numerous appellate court decisions deciding whether immunity was waived in specific circumstances. Here are just a few illustrative cases. Loading at school and the process disembarking from buses until a child reaches the curb. DeKalb County School Dist. v. Allen, 254 Ga.App. 66, 561 S.E.2d 202 (2002). One student attacked by another student shortly after they exited a school bus, as no collision or accident was involved. Rawls v. Bulloch County School District, 223 Ga.App. 234477 S.E.2d 383 (1996), certiorari denied Feb. 14, 1997. “When a student riding on a school bus suffers an injury that is not proximately caused by an accident or collision in which the bus is involved, such as when the student is injured due to an attack made by a fellow student, OCGA § 20–2–1090 is inapplicable.” Payne v. Twiggs County School Dist., 269 Ga. 361, 362(1), 496 S.E.2d 690 (1998). Child struck while waiting at a bus stop. Brock v. Sumter County School Bd., 246 Ga.App. 815, 542 S.E.2d 547 (2000). Child is struck by a car when walking home from an unauthorized drop-off site on a busy road when the bus had driven two miles away, as “use” of the bus does not encompass the school district’s route planning. Roberts v. Burke County School Dist., 267 Ga. 665, 482 S.E.2d 283 (1997). Grandparents boards bus without authorization to try to discuss with bus driver child’s suspension due to abusive conduct and falls getting off the bus. Hancock v. Bryan County Bd. of Educ., 240 Ga.App. 622, 522 S.E.2d 661 (1992). If a school bus driver drops off a child at an unapproved, unsafe location, there may be waiver of immunity but not if the school district’s insurance policy defines “use” of the bus so as to exclude this. Roberts v. Burke County School Dist., 267 Ga. 665, 482 S.E.2d 283 (1997). Immediately send open records requests to both the law enforcement agency for any photos, video and witness statements they may have. There may have been a video on the bus. Interview witnesses insofar as possible. Determine what security cameras may have been in the area and obtain their recordings. Since the waiver of sovereign immunity is limited, investigate possible liability of other potential parties. Copy of each insurance policy applicable to the bus. Copy of any interlocal government risk management agreement applicable to the bus. Copy of each resolution, ordinance or rule adopted setting an amount for waiver of sovereign immunity. Copies of all policies and procedures regarding bus operation, maintenance, and job descriptions of personnel involved in operation and maintenance. Request insurance coverage information from the insurer under O.C.G.A § 33-3-28, and refer to that statute in addition to the Open Records Act in the letter to the school district. Obtain and review reference materials on school bus safety. If you have questions about a serious injury or wrongful death to a school bus passenger in Georgia, contact us at 404-253-7862. On a warm October afternoon two years ago, wearing one of the yarmulkes that Jewish funeral directors provide for non-Jewish attendees, I helped shovel red Georgia dirt into the open grave of an old client and friend. As I did so, I pondered the unanswered question whether long-term side effects of her food poisoning a quarter century earlier had contributed to her death after years of internal organ illnesses. A recent decision of the Georgia Supreme Court on what is required to get a food poisoning case to a jury brought that grim saga back to mind. In Patterson v. Kevon, 2018 WL 3965745, the Georgia Supreme Court unanimously ruled on .August 20, 2018 that circumstantial evidence was sufficient to allow a jury trial on a suit against a caterer for alleged food poisoning of guests. In doing so, the Supreme Court overturned a line of Court of Appeals authority that classified food poisoning cases as “a unique species of negligence cases” imposing a heavier burden upon the plaintiff to show proximate cause than that generally required of nonmovants on summary judgment. Briefly summarized, the Pattersons became ill after eating food at a wedding rehearsal dinner prepared, catered, and served by Big Kev’s Barbeque. They sued for negligence, violation of the Georgia Food Act (OCGA § 26-2-20 et seq. ), and products liability, alleging that the food at the dinner was defective, pathogen-contaminated, undercooked, and negligently prepared. The caterer moved for summary judgment, showing that the Pattersons also consumed items prepared by others at the rehearsal dinner, such as dessert or alcohol, as well as improperly stored leftovers from the rehearsal dinner and food at the wedding reception the following day. In addition, the caterer showed that the Pattersons ate other meals, including fast food, and drove to Florida before Mr. Patterson began to feel ill, three days after the rehearsal dinner, and that Mrs. Patterson did not begin to feel ill until several days later. In addition, the caterer asserted that the owners of the event venue, their employees, and other guests who consumed the food did not become ill.
On the other hand, the Pattersons presented evidence that several people became ill with similar symptoms after eating the caterer’s food at the rehearsal dinner. Both Mr. Patterson and a guest at the rehearsal dinner who thecaterer’s meal but did not consume food at the wedding reception, both tested positive for salmonella. Three other guests testified that they became ill at around the same time after eating at the rehearsal dinner. Four other people who became ill, including Mrs. Patterson, did not eat at the wedding reception, and other guests who became ill testified that they did not consume dessert, drinks, or leftovers. As many as 16 to 20 people became ill after the dinner. suits alleging illness from food poisoning that are based entirely on circumstantial evidence are a unique species of negligence cases, and our prior decisions have required plaintiffs in this context to bring forth evidence demonstrating that the only reasonable hypothesis for why they became ill was due to acts or omissions of the defendant, to the exclusion of all other reasonable theories. This special element prevents a plaintiff from recovering solely on the basis of speculation and conjecture and requires plaintiffs to engage in a rigorous examination of all reasonable theories of contamination. This standard also shields defendants from what, in some cases, may amount to fallacious post hoc, ergo propter hoc arguments that advance the plaintiff’s theory of contamination. In so doing, this rule reserves to the jury only those cases in which evidence brought forth by the plaintiff establishes a clear and direct link between the defendant’s food and the plaintiff’s injuries. Two vigorous dissents, by Judges Doyle and McFadden, detailed the Pattersons’ evidence and pointed out that the standard established by the majority was more appropriate for the burden of proof at trial rather than on motion for summary judgment. The Supreme Court in an opinion authored by Justice Michael Boggs unanimously rejected any requirement to exclude every other reasonable hypothesis, noting that the Court of Appeals majority opinion conflated summary judgments cases with decisions on appeals after jury verdicts. These cases are highly fact specific. In most cases, either for plaintiffs or defendants, have turned upon the availability or unavailability of expert testimony evidence about presence or absence of pathogens. In this case, the caterer failed to counter the plaintiffs’ evidence of proximate cause. This decision removes an anomaly the consideration of summary judgement motions on food poisoning cases in Georgia. However, the plaintiff still must prove causation. As a practical matter, “jury proof” still requires a preponderance of evidence that excludes other reasonable hypotheses of cause. In evaluating a claim of food poisoning, I want lab tests to prove what pathogen caused an illness, probability that it was related to the food consumed, evidence that people who ate the same food got sick and companions who did not eat the same food did not get sick, and some way to minimize other explanations of illness. In that food poisoning case that I handled years ago, three coworkers at a bank went to dinner together. Two had fried chicken while the third ate something else. Two fell ill with similar symptoms. One of them was hospitalized and tests of stool samples showed the presence of Campylobacter which is common in uncooked poultry. Consumption of undercooked poultry can easily cause gastic infection within 2 to 5 days. My client recovered from the acute gastric illness and we settled her case for what we felt was a good amount. But we stayed in touch over the subsequent years. Long-term complications of Campylobacter food poisoning infections are rare. But this lady developed complex long-term problems with internal organs which led to her death about 25 years after her food poisoning. No doctors could directly relate her lethal illness to the food poisoning, but as I took my turn tossing a shovel of dirt into her grave, I wondered if a supper of undercooked chicken contributed to her death a so many years later. If I handle food poisoning cases in the future, I will be sure to explore with physicians and experts the risks of long-term health consequences long after the initial acute illness has resolved. .Ken Shigley is a past president of the State Bar of Georgia, past chair of the State Bar’s Tort & Insurance Practice Section, past chair of the Georgia Insurance Law Institute, past chair of the American Association for Justice Motor Vehicle Collision, Highway & Premises Liability Section, and a member of the board of governors of the Academy of Truck Accident Attorneys. He is lead author of Georgia Law of Torts: Trial Preparation & Practice (Thomson Reuters West, 2010-2018). His law practice is focused on catastrophic injury and wrongful death including those arising from commercial trucking accidents and those involving brain, neck, back, spinal cord, amputation and burn injuries. He is licensed to practice law in Georgia. Representation of clients in others states, which possible, can be undertaken only in strict compliance with the multijurisdictional practice and pro hac vice rules of the other state. This ruling arose in the context of the criminal prosecution of an alleged drug dealer. That would have been a great interest in my past life as a prosecutor, though of course cell phones had not been invented when I was sending criminals to prison. Text messages can be obtained by law enforcement with a search warrant based upon probable cause to examine the contents of a cell phone. If I were still a prosecutor, I would probably seek search warrants for contents of cell phones in a lot of cases. In the civil context, however, we do not have that option. We cannot get search warrants in civil cases. Cell phone service providers, e.g., AT&T, Verizon, etc., typically do not keep text messages in the system more than perhaps 72 hours. The only way to obtain those in a civil case is to obtain a court order for a forensic download of the phone. In addition to records of voice calls placed and received (though not the content of the calls, and text messages, forensic examination of wireless devices such as cell phones can reveal patterns of conduct and communication, including the times that the driver was using an app, typing a text, or watching a video. It has location history for the phone, showing where the driver was at various points in time. It includes calls, texts and emails between the driver and the trucking company. It may include records of communications with employer personnel inconsistent with prudent driver supervision by a motor carrier regarding fatigue management. Parties opposing forensic download of a cell phone may assert claim of personal privacy. However, where the cell phone user killed someone, that fact may outweigh personal privacy. A trial court judge would be justified in ordering the download subject to a protective order limiting delicate personal information to use in the case after in camera review by the court. Ken Shigley was an Assistant District Attorney in Paulding County in the last 1970’s. he is a past president of the State Bar of Georgia, past chair of the State Bar’s Tort & Insurance Practice Section, past chair of the Georgia Insurance Law Institute, past chair of the American Association for Justice Motor Vehicle Collision, Highway & Premises Liability Section, and a member of the board of governors of the Academy of Truck Accident Attorneys. He is lead author of Georgia Law of Torts: Trial Preparation & Practice (Thomson Reuters West, 2010-2018). His law practice is focused on catastrophic injury and wrongful death including those arising from auto accidents, commercial trucking accidents and those involving brain, neck, back, spinal cord, amputation and burn injuries. Few people recall that my undergraduate alma mater, Furman University in South Carolina, once had a law school. In the depths of the Great Depression, Furman closed its law school in 1932. A North Carolina school that was well-funded by a tobacco magnate, bought the library of Furman’s law school. It was rolled into Duke University Law School, which is now rated number 11 among U.S. law schools. In the past two decades a boom in enrollments led to a glut in the law school market. Some of this was fueled by easy availability of government-guaranteed student loans. Moving from boom to bust, the Great Recession roughly ten years ago brought about a decrease in law school applications and enrollments. The top law schools continued to fill up with well qualified applicants. Admission to lesser law schools became less competitive, opening opportunities for many students who might not have had stellar undergraduate records but were capable of becoming competent lawyers. But independent law schools at the bottom on the rankings have been struggling to keep their doors open. Those include the Charlotte (NC) Law School, Thomas M. Cooley Law School in Michigan, Indiana Tech Law School, Whittier Law School in California, have announced closures. William M. Mitchell and Hamline University Law School, both in St. Paul, MN, have merged. Valparaiso University Law School in Indiana has been teetering on the brink, and may move to Middle Tennessee State University. My lawyer friends in Tennessee have expressed great skepticism about the viability of a law school in Murfreesboro. There are three law schools right up the road in Nashville (Vanderbilt, Belmont and Nashville law schools), plus the University of Tennessee Law School in Knoxville and the University of Memphis Law School in the city of that name. When Atlanta’s John Marshall Law School announced opening of a branch, Savannah Law School, back when I was president of the State Bar of Georgia, I was skeptical of there being enough demand to make it viable. Now that law school’s property has been sold. Students have the option of continuing at John Marshall’s Atlanta campus, or maybe something else. There have been unconfirmed rumors that some university might acquire it, but so far nothing has been confirmed. Students have filed a class action against John Marshall Law School over the closing. I don’t want to discourage anyone who has a passion for becoming a lawyer from doing so. There are certainly great lawyers and judges who graduated from proprietary night law schools, with or without ABA accreditation. But if one does not have a prominent relative eager to bring him or her into an established practice, and the only option for law school admission is one that is on the brink of extinction, it might be good to consider another career choice. No words can ever be adequate when a young child is killed. For the child’s parents, grandparents and other family members, it is like having a hole punched in the heart. That wound never really heals. For parents, in the words of Willie Nelson, it’s something you don’t get over but you get through. The tasks of mourning after death of a family member are all too familiar. This week in Paulding County, GA, there was a car crash in which a 20-year-old driver was distracted by dropping his cell phone and water bottle. Leaning over to retrieve them from the floor of his truck while speeding, he struck a family’s minivan from behind. The mom driving the minivan with her children, aged 3 and 4 in the back seat, said she was about to turn into her dad’s driveway when she saw a speeding truck in her rear-view mirror. “I was, like, I saw it and then we were flipping,” she said. When he struck the minivan it flipped over and landed in the ditch. The four-year-old child in the minivan was killed. She had her “Hello Kitty” backpack ready and was excited about the start of preschool. The Paulding County Sheriff’s Office shared a GoFundMe page (“Alora Rose Gained Her Wings”) to assist the family with funeral costs and other expenses. The child was a granddaughter of a detention officer for the county. The young man whose distracted driving killed this child may well spend some time in prison for vehicular homicide, but after that he will live the rest of his life with the feelings of guilt for causing this death. (2) By confinement under the jurisdiction of the Board of Corrections in a state probation detention center or diversion center pursuant to Code Sections 42-8-35.4 and 42-8-35.5, for a determinate term of months which shall not exceed a total term of 12 months. Civil lawyers in these cases can only deal with financial compensation issues. It is important to quickly obtain information about automobile and umbrella liability coverage on vehicles in the household of the at-fault driver under provisions of OCGA 33-3-28. A 20-year-0ld who purchases a vehicle and insurance on his own may have minimum coverage of $25,000 but one should not make that assumption. When my kids were that age, their vehicles were insured under my policies so they effectively had $2,250,000 liability coverage on their cars, though they probably did not even know it. Savvy lawyers recognize that insurance companies with multiple interlocking subsidiaries do not disclose additional coverage in response to a statutory request unless the request is phrased just right. It is also important to quickly gather all insurance policies on all vehicles in the family’s household, evaluate all uninsured / uninsured motorist coverage on all those policies, and notify the insurer(s) of the tragedy within thirty days. Some insurance companies are draconian in their application of contractual time limits for notice to the company. Obviously no amount of money can ever make up for the loss of a beloved child. But we have seen many families who set aside money recovered from insurance companies in such situations to fund the education of surviving children. A tractor-trailer pulled from the highway shoulder in front of an approaching SUV on I-95 in Jasper County, SC, just north of Savannah, about 9:30 PM Wednesday night, August 8, 2018. The impact killed Raymond Jackson, Jr., driver of the approaching vehicle, a 1999 Ford Expedition. This happened about 3 miles north of the Georgia-South Carolina line, between the Savannah River and Hardeeville. Initial news reports of this crash involving vehicles emerging from Georgia do not identify the trucker, the trucking company or the person killed. If all had Georgia residence at the time, then potentially a Georgia court might apply some points of Georgia law different from South Carolina law, such as the measure of damages and procedures regarding wrongful death claims. Visibility of tractor trailers at night is a huge problem nationally. All large commercial motor vehicles are required to have red and white reflective tape and/or conspicuity sheeting to help make them visible to oncoming traffic. The tape often becomes dirty and worn, making it less effective. In addition, it loses effectiveness when viewed at an angle, such as when a truck is merging from the shoulder into traffic. The regulations are a bare minimum and prudent trucking companies exceed the minimum. Recently I participated in a national truck driving and safety program for lawyers at a truck driving school’s proving ground in Montana. We went through night time exercises to check the distance and time for recognition of hazards on a dark road. Without getting into stopwatch and distance measurement numbers, it would be nearly impossible for a motorist approaching at the speed limit in the dark to perceive that a poorly illuminated tractor trailer is slowly merging from the shoulder into the roadway in time to react and avoid the hazard. In such situations, the driver of an oncoming vehicle may be a “sitting duck” unable to avoid a tragic crash. If a wrongful death claim were made in South Carolina for the surviving spouse, children or other heirs of the person killed, it would be under the South Carolina wrongful death statute. Any vehicle that stops on the shoulder of a highway must eventually merge back onto the highway from the shoulder emergency lane. For trucks, because of their great size and weight, this is very dangerous. It takes a lot more time for a tractor trailer to accelerate to highway speed than it does for a passenger car. That is why truck drivers are trained not to use the shoulder emergency lane unless they absolutely must. Because of their great weight, large trucks also take much longer to accelerate and safely match the speed of traffic so they can merge. Experts such as my Ohio friend Michael Leizerman say that once a truck is ready to move from the shoulder emergency lane and reenter the flow of traffic, the truck driver should first deactivate the emergency hazard flashers. Then the truck driver should activate the left turn signal and and begin to accelerate the truck while still in the shoulder lane. Using the emergency lane as an acceleration lane the truck driver should reach a speed close to that of traffic and watch for an safe space to merge into. The duty is on the truck driver to make sure that he can safely merge into traffic without causing an accident. Turning the left turn signal on notifies other motorists that the semi-truck is going from a stopped condition to a mobile condition. The left turn signal should not be activated until the truck is ready to move — while the truck is immobile the emergency lights should be on at all times. checked accurately when the trailer(s) are straight. see if they move into your blind spots. changes, turns, merges, and tight maneuvers. one has moved into your blind spot. double-check that your path is clear.  After you complete the lane change. An 80,000 pound semi truck does not take off with great speed from a standing stop when entering the highway from a parked position on the shoulder of a highway. The handling is simply not the same as a sports car. Thus, a professional truck driver must allow plenty of time and space to enter traffic lanes from the highway shoulder. We have handled truck accident cases in which truck drivers decided it was a great idea to pull into a traffic lane within a few car length of a car approaching at highway speed, with predictable results. In one such incident, the truck driver was medically impaired by chronic obstructive pulmonary disorder (COPD), a disqualifying condition. It would have barred him from driving if disclosed to the DOT medical examiner. When I took the deposition of the truck driver’s personal physician, he testified that the trucker’s COPD was so severe he was not supposed to go anywhere without an oxygen tank and the lack of oxygen to the brain could have cognitive effects. News reports of the crash on I-95 this week do not indicate why the truck driver chose to park on the shoulder at night. Nothing short of unforeseeable mechanical breakdown would justify that dangerous choice. Media reports also do not indicate why the trucker pulled into the path of an approaching vehicle without yielding the right of way. Was it due to fatigue, physical or cognitive impairment, distraction, or some other cause? For an experienced trucking attorney, this appears to be a case of clear liability even though the insurance company’s lawyers would undoubtedly try to blame the victim who happened upon a truck executing a highly dangerous maneuver in the dark.